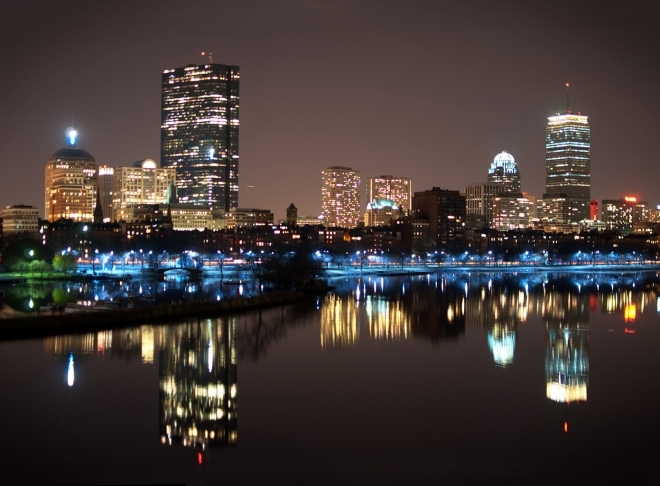 Some longer time ago I posted a picture of the Boston skyline with Charles River in front (http://www.flickr.com/photos/werkunz/3666599549/in/set-72157615371572780). I used this picture just for an experiment and try to make my first attempt in photoshop to produce a mirror effect. I was not so happy with my results, but many people on flickr loved it. I thought it was to faked. Moreover, the charles river is never so calm to produce such a reflection. Well, last winter on one evening, i was proven wrong. 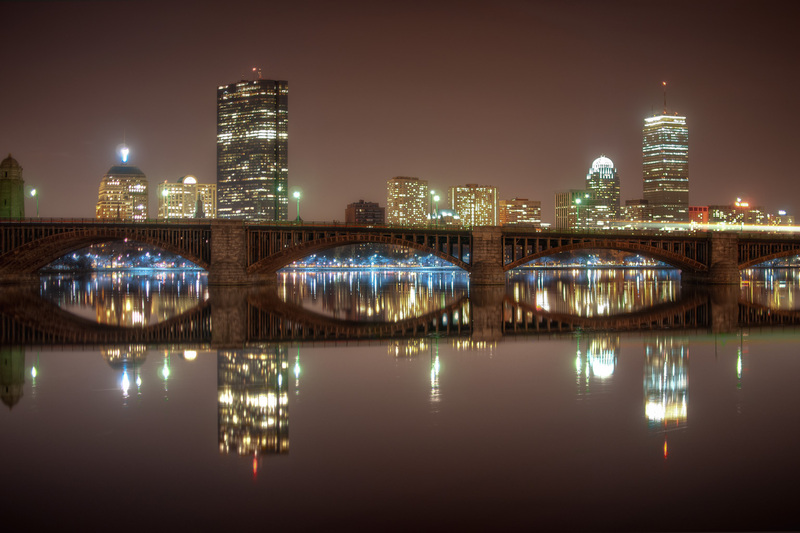 It was such a nice and calm evening, that the complete charles river served as a perfect mirror. I made two shot, where I’m still not decided which one is the better. Let me know what you think? I would go with the lower of the two pics. (The one without the bridge) The lighting of the blue gives your eye an easy line to follow through the photo. thanks for the comment. I really appreciate your interest in my photos. I really need to continue posting here. What chunky yumminess! Scones are probably the one thing I will never attempt, so this might be as close as I get. Besides, there are so many scones critics. I don’t need to be that closely scrutinized with my cooking, thank you! I’ll take *Cornmeal-Blueberry Scones* for $500.00 Alex! Answer: What is the easy alternative to making English scones? Ka-ching! I am the wife of Matt LaCoe just saw your photos I know I am late but the bottom photo is BEAUTIFUL!!!!!!! I would hang it on my wall! thank you for the encouragement. If you like to hang it on your wall, I can send you the full res file. I don’t have a problem if people use my photos for private reasons. Hi, do you mind if a use this photo for a cover of something? Please tell me where you want to use it?